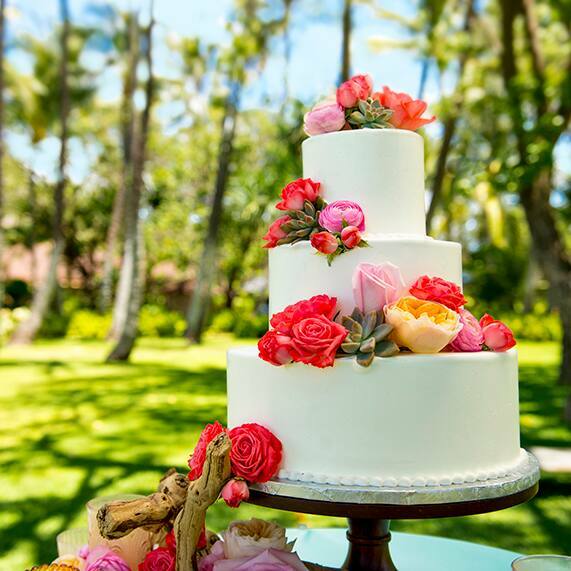 Fresh from paradise, today's Wedding Cake Wednesday is a sweet treat from the bakery team at Aulani, A Disney Resort & Spa. 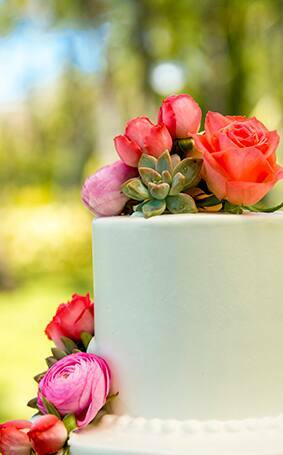 What I love most about this buttercream beauty is that the couple used the cake itself as a clean backdrop to really allow the bright roses and succulents to pop. 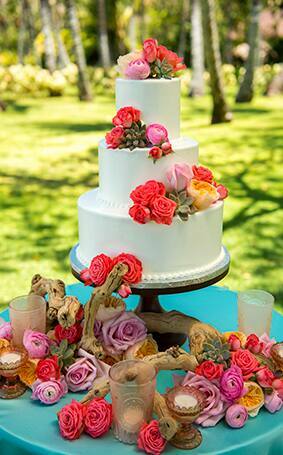 It's safe to say that this dessert had me at aloha.